The cute thing about Runty and her duck, is that she holds it so very carefully… avoiding setting off the squeaker at all costs! I love how they each have their own unique and special personalities that always come shining through. We do have a very peaceful and wonderful life here together… and as you know with dogs, happiness abounds. Thank you so much for taking the time to stop by and check out our page. I really enjoy reading your blog, each post is very touching, your dogs are beautiful, and your photography is amazing! thanks Kathryn! Sure would be fun to hang out at your compound some day with all those pups!!! Can you imagine the photos…? 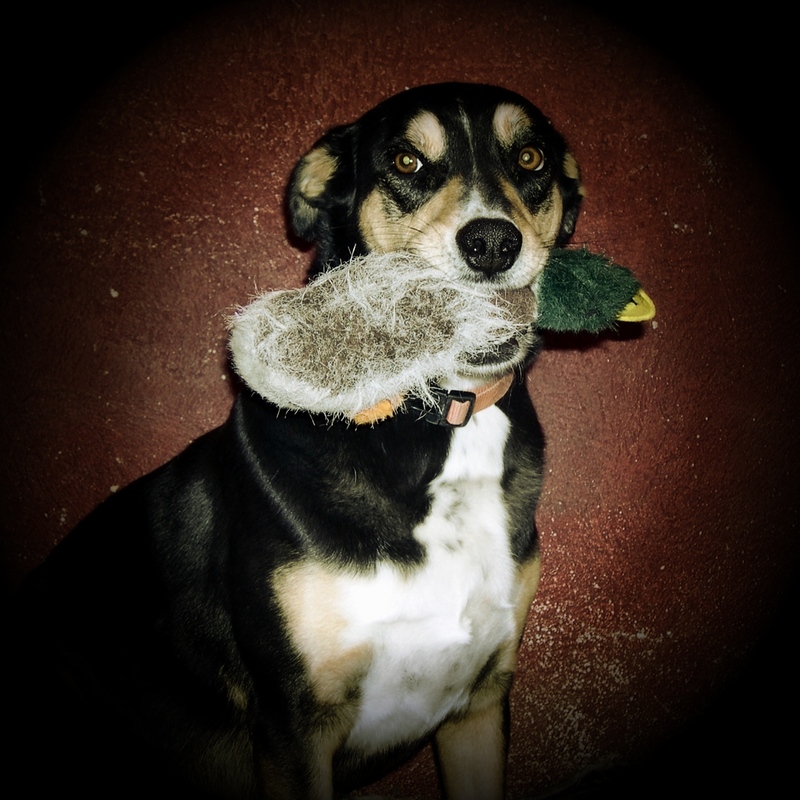 Faith is partial to stuffed birds for some reason. Super adorable photo.